The regional network of GIANT Food Stores conducts hiring on a regular basis and needs to fill thousands of jobs across Pennsylvania, Maryland, West Virginia, and Virginia. An ideal place to find entry-level jobs, the retailer also offers viable opportunities in management and many other career fields. Interview Tips: Go to the Giant Food Stores job interview questions & tips page. 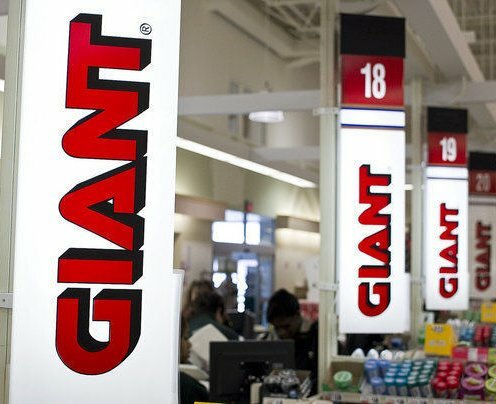 Entry-level job opportunities available at GIANT grocery stores include positions like cashier, deli associate, night crew member, and food associate. Applicants must meet very basic hiring requirements in order to gain supermarket jobs. Workers typically need no formal job history; however, applicants should prove excellent communicators able to work well with others on a regular basis. Entry-level jobs with the chain generally feature part-time hours, or roughly 15 to 30 hours per week. GIANT regularly hires individuals based on availability, as well as reliability of transportation to and from work. Careers available at GIANT Food Stores offer full-time scheduling potential and the ability to make lucrative, substantial salary options. Lower-level management often starts out making hourly pay but typically works up into full-time, salary-yielding job titles. Each location requires diligent managerial staff to maintain operations, order supplies, and supervise entry-level workers. Contact the grocery store chain, either locally or online, to procure information on available employment opportunities and begin the hiring process.